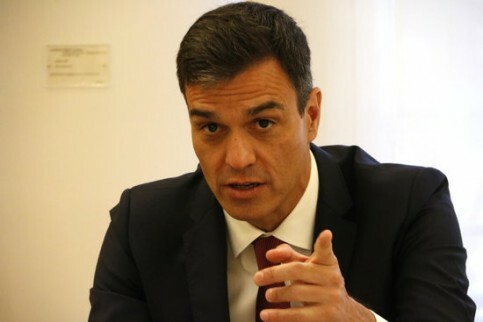 The Socialists (PSOE) would be the most voted party in Spain if there was a new election, thus benefiting from the election of its leader Pedro Sánchez as head of the government last June, according to the latest survey by the Centre for Sociological Research (CIS). Not only would the Socialists dethrone the opposition People’s Party (PP) as the largest in the chamber, but they would also cut off the rise of Ciutadans, a liberal party that soared in polls in recent months by defending a hard-line against pro-independence parties in Catalonia. According to the CIS estimates, the Socialists would secure 29.9% of the votes, a substantial rise from the 22.66% votes they received in the 2016 election, and a great increase from the previous poll in April, awarding the party 22% of the votes. In a matter of months, the political landscape in Spain has undergone dramatic transformations. Last June, Sánchez ousted Mariano Rajoy as prime minister following a motion of no confidence triggered by a corruption scandal involving PP. PP and Cs now stand with 22.4% of the votes each, while anti-austerity Unidos Podemos, the main ally of Sánchez’s government, has fallen in polls from 21.1% votes in the last election to 15.6% in the latest survey. The survey was conducted between July 1 and 10, a month after Sánchez came to power, thus leaving out the election of Pablo Casado as Rajoy’s successor at the head of PP. In Catalonia, pro-independence Esquerra (ERC) would surpass En Comú Podem (ECP), a left-wing coalition including the Catalan branch of Podemos. From the last election, ERC would climb from 3% to 3.9%, while ECP would only retain 2.6% of the 3.5% votes the party received in 2016. Pro-independence PDeCAT would remain as the third most voted party in Catalonia, but falling from 1.7% to 1.3%.